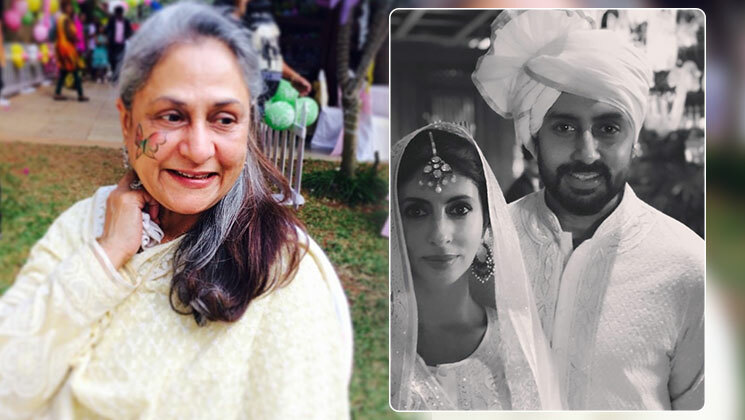 Veteran actress Jaya Bachchan is celebrating her 71st birthday today. Wishing the ‘Abhimaan’ actress on her special day, son Abhishek Bachchan took to his Instagram handle and shared a lovely throwback picture. 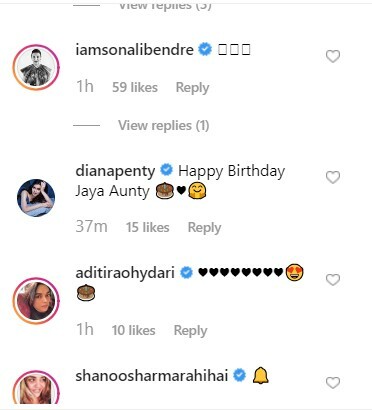 Even Jaya’s daughter Shweta Bachchan Nanda took to the photo sharing site and wished her in the most adorable way. Wishing his mother, the ‘Manmarziyaan’ actor wrote, “The word says it all. Happy Birthday Ma. Love you.” Soon, all his industry friends and colleagues started pouring in their wishes for his mother on his post. Last night, the Bachchan family celebrated Jaya’s birthday with a cozy family dinner in a Mumbai restaurant. Jaya is one of the most celebrated actresses of the Hindi film industry. She quit acting at the peak of her career to take care of her kids. The actress has been awarded Padma Shri, India’s fourth highest civilian award. We wish the iconic actress a very happy birthday.